Recent painting has primarily been focussed on fantasy and/or ploughing through several of the big miniature boardgames acquired via Kickstarter over the last few years. However my fondness for 15mm sci-fi remains as does my appreciation for the work of PF. 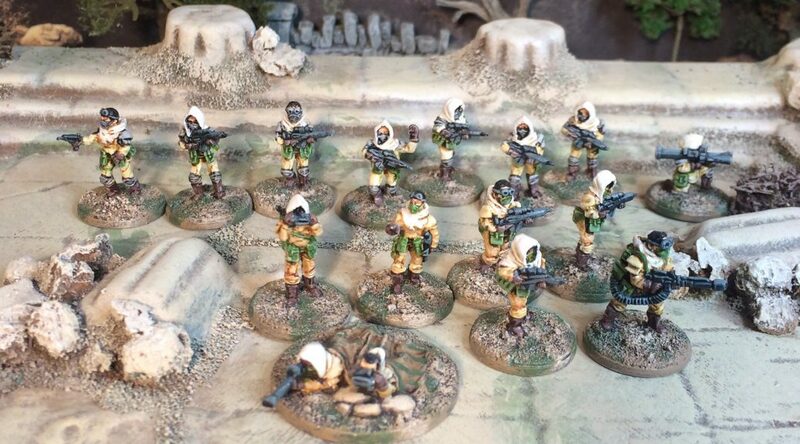 Several years ago I made it a bit of a mission to collect up 15mm sci-fi that PF has sculpted – no mean feat as he has worked for various manufacturers over the years in the US, UK and elsewhere. At the time I managed to hunt down most of the available offerings but have not as yet managed to complete them all. 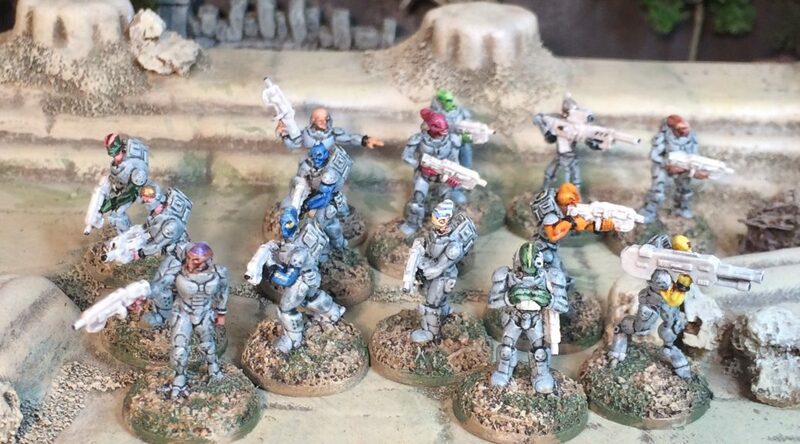 They are the Pangalactic Legion available here from Rebel Minis in the US. 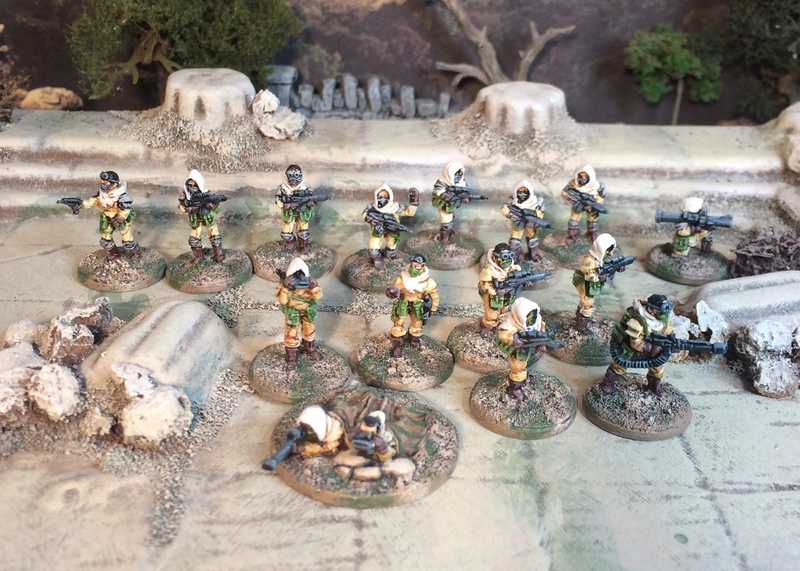 A organised mercenary force made up of numerous (albeit all humanoid) aliens, bursting with fine detail, a lot of character and some great poses. Painting-wise I was looking for a UN type of colour scheme but I’m not convinced that painting the guns white works or not – they look unfinished at a glance. Anyways. 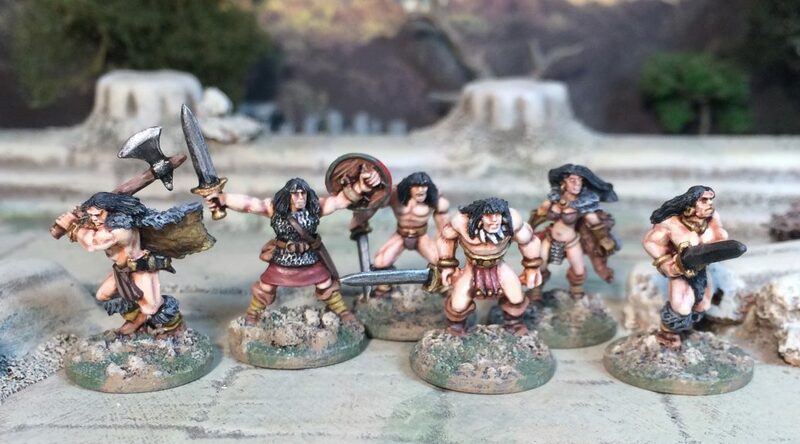 Anyone that has dabbled in 15mm fantasy miniatures in recent years will be aware of the splendid barbarians produced by the excellent Mark Copplestone. 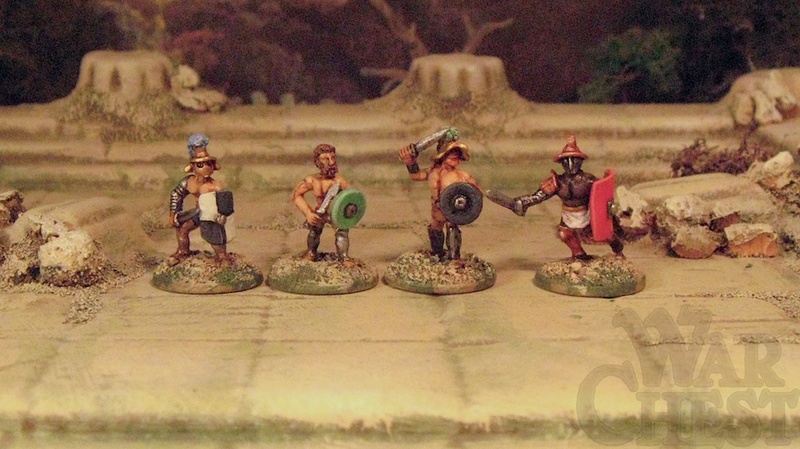 Alongside the rather larger Demonworld range, these are easily amongst my favourite miniatures. 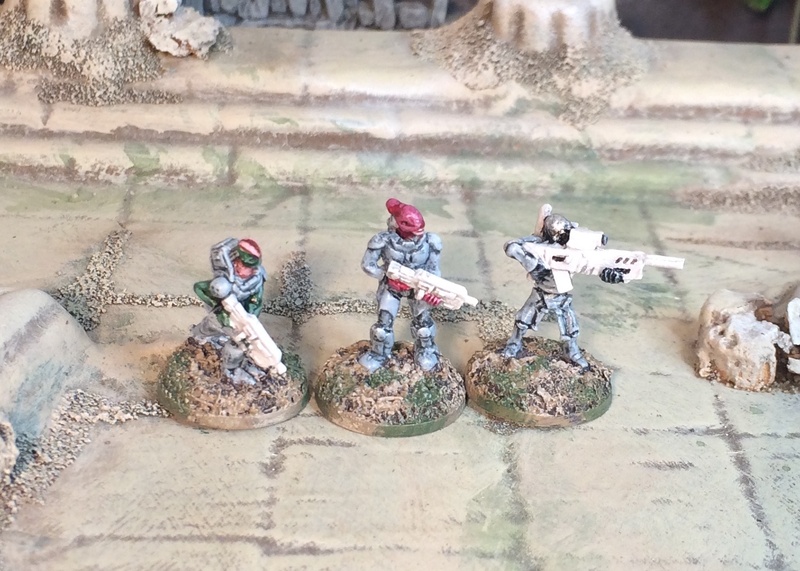 Indeed, one of my earliest posts to this blog was inspired by a round of painting some of these up. Years later and I have gotten around to a couple of the other packs I picked up from Mr Copplestone when he was still selling these directly – the range is now available from Northstar. As the sharper readers will have noticed there are no Cave Bears below. I painted them up previously and can be seen here. 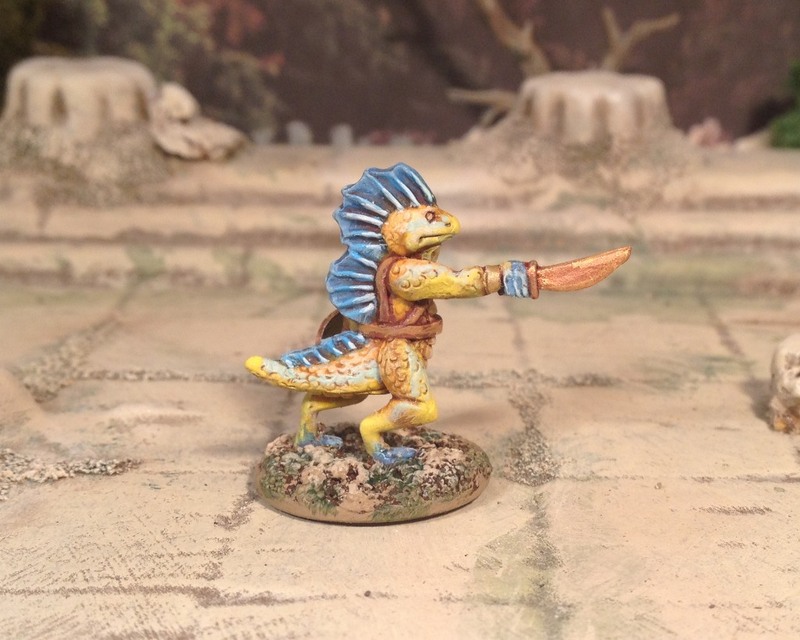 Pictures below are ‘alternatives’ for these shapechangers – the three larger ones are from Rebel Minis and the smaller one from Splintered Light Miniatures. 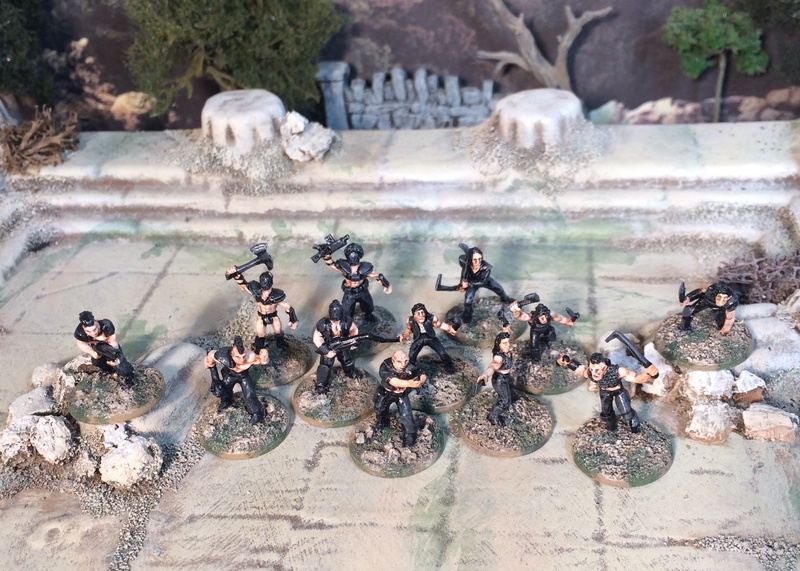 Little point of note – it has come to my attention that Angel Barracks who formerly produce some very fine 6mm stuff has turned his attention to 15mm Conan and has started to create an impressive range. Should that be your area of interest I suggest you pay him a visit. 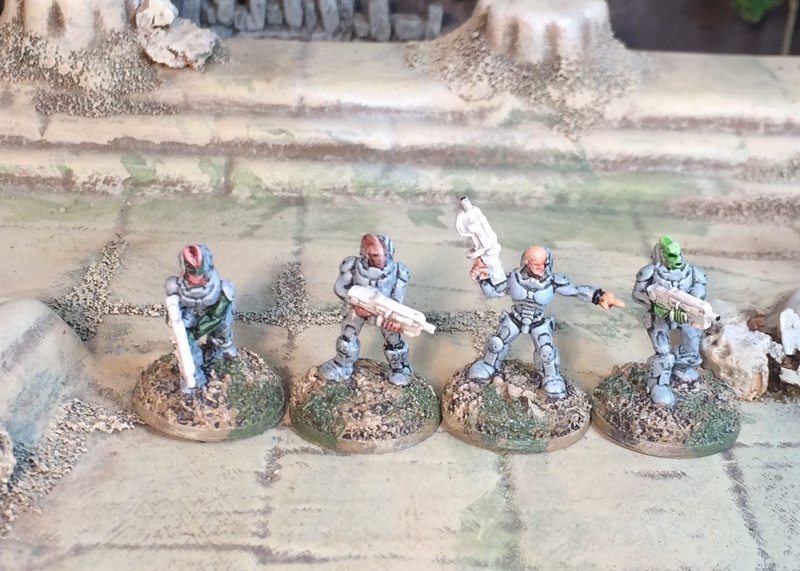 I will be at some point when painting queue permits. Crom’s Anvil. 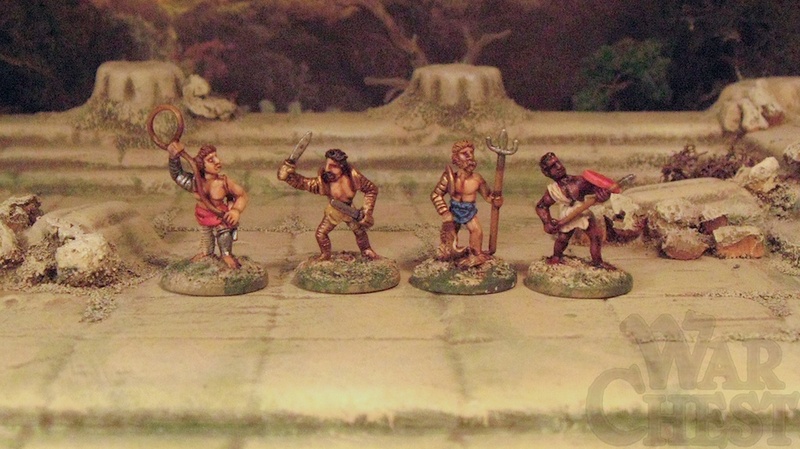 Hope they provide a source of inspiration for your 15mm Conan gaming or Barbarian Hordes. 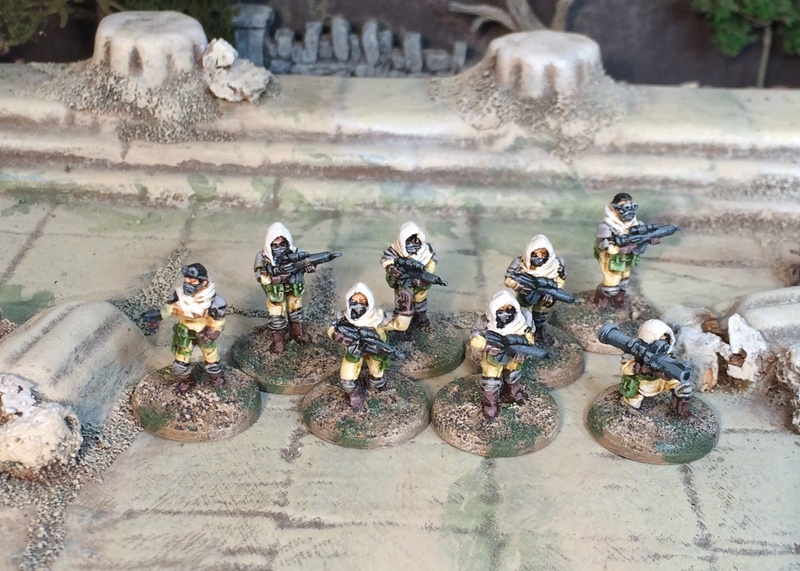 Continuing with the re-balance of fantasy vs sci-fi on this blog I present to you some Rebel Minis “Sahadeen” forces. 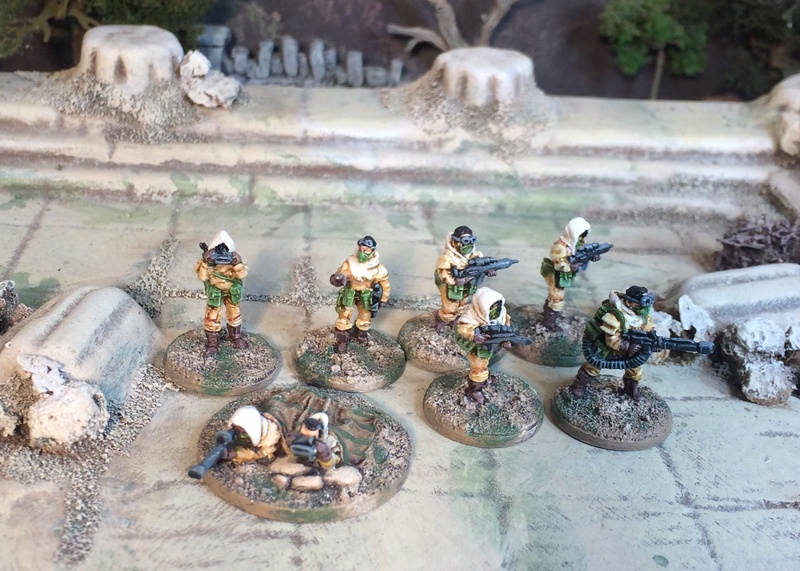 It will come as no surprise that the desert style troops would also happily fit in to a barren post apocalyptic setting as well – it is not a coincidence. 2 squads of 8 should be plenty for the types of games I like. 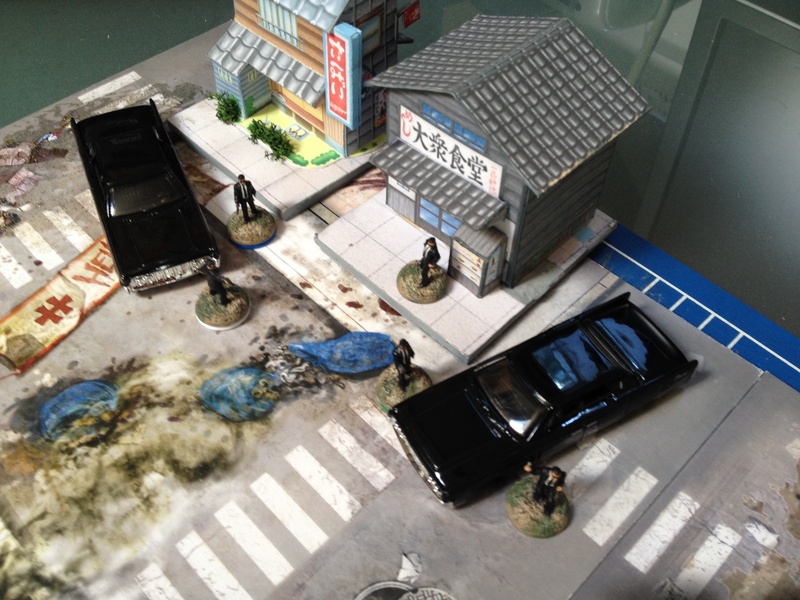 And all together now… Happy gaming, be it post apoc, sci-fi or whatever takes your fancy. Looking over my more recent past posts you would think that I’d lost my love of 15mm Sci-fi. Not true. But is has taken a bit of a back seat. So more recently I dug out a bunch of post apocalyptic “ganger” figures with a view to preparing them for a Gaslands type thing (I say Gaslands as it seems to be the Mad Max offering all are going for at the moment though they could easily be used for any similar rules set). I’ve not got a copy of said rules yet but they do seem to be doing very well and stirring up interest in this genre once again. All good. 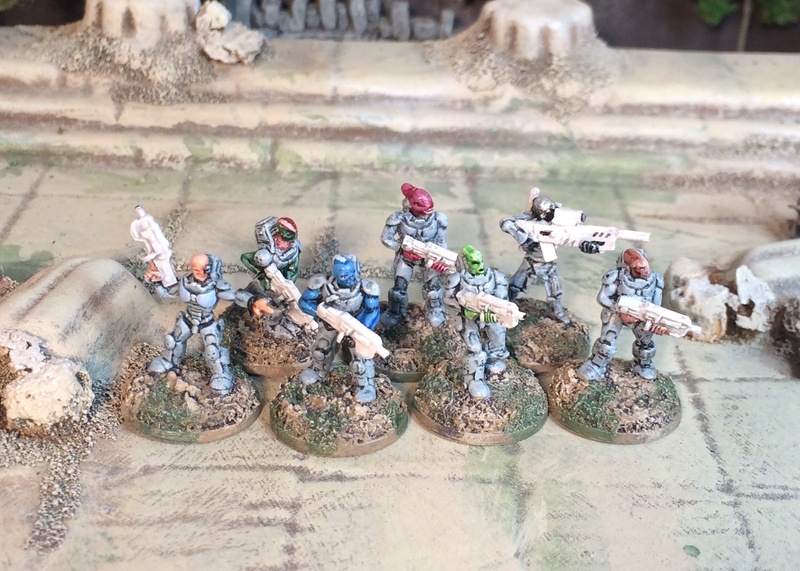 Anyway, as I looked at these I thought they’d do equally well as Reaver-types as well (see Firefly) hence I went with a more uniformed black colouring. I resisted covering them in blood and such at this stage so that they would be good for the likes of Gaslands too and I think they work out quite well. 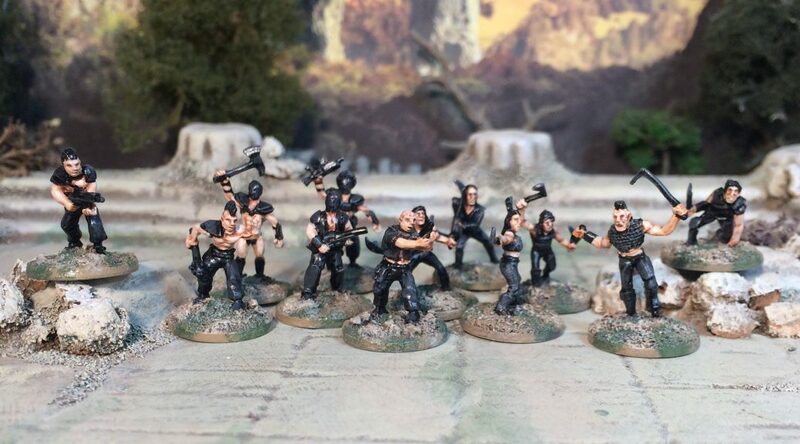 Between the dozen, half are “Crazed Gangers” from Splintered Light Miniatures and the other half are “Post Apoc Gangers” from Rebel Miniatures (same sculptor?) but I can’ recall for sure as I did buy them a very long time ago and can’t see them on the site. This is one of those pipe-dream-projects that has actually taken a step forward! I’ve always been interested in the ‘Gladiator’ thing and quite interested in playing games based around the arena. I picked up some rules a while back from 2 Hour Wargames – Red Sand Black Moon – Fantasy Gladiatorial Combat then the historical (original?) version Red Sand Blue Sky. Skimmed through but never played – typical scenario. Anyway, nothing was ever going to happen without some little men so I picked up a set from Rebel Minis and followed them up with a host from Museum Miniatures when I deemed ‘4’ did not offer enough choice. 15mm of course. 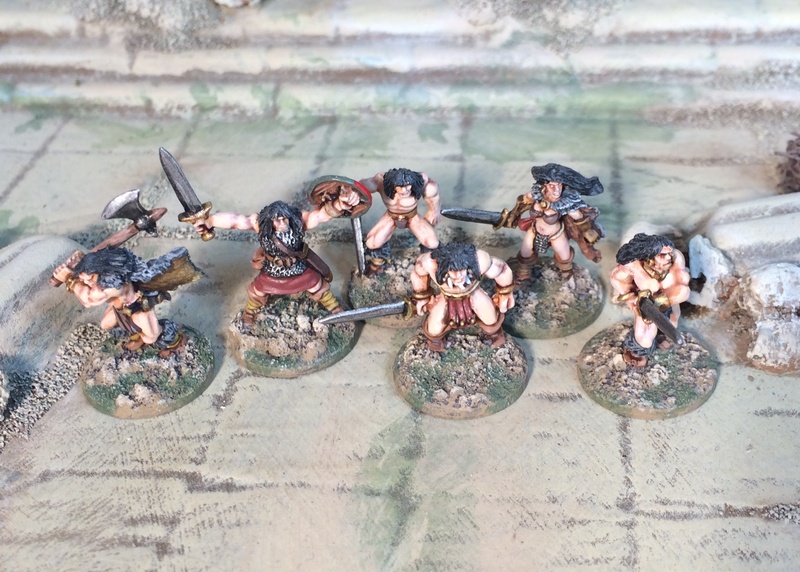 Now these Gladiators are not comparable to the likes seen with the new Arena Rex which are very impressive. 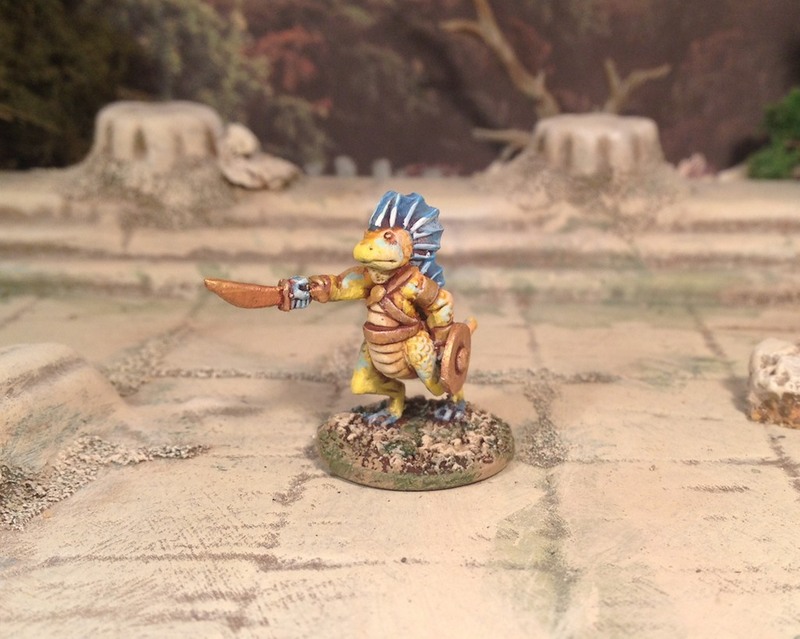 But, not wanting to sound tight (I’m not, really), this gives you nearly thirty Gladiators for less than the price of 1 Arena Rex miniature. I like the Rebel Minis ones quite a lot. 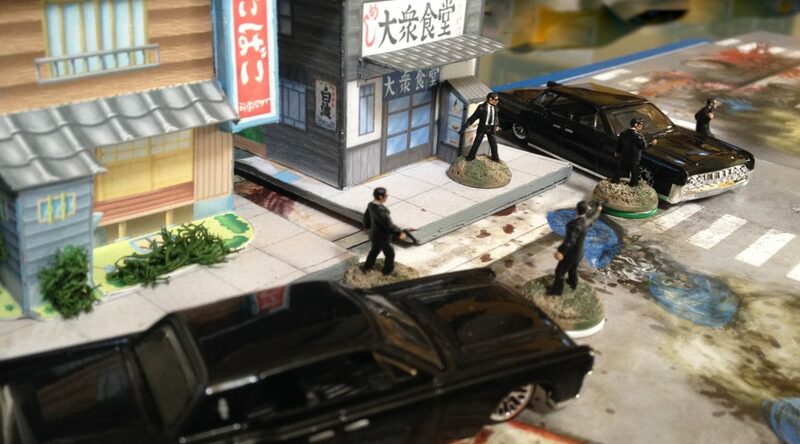 The Museum Miniatures are a bit of a mixed bag – some okay, some meh, some bleh. But then, if you don’t love your mini, you don’t mind when they die in the arena! Various ‘arena’ ideas and stalled terrain projects have yet to produce a definitive playing area for the games themselves. But that will come. 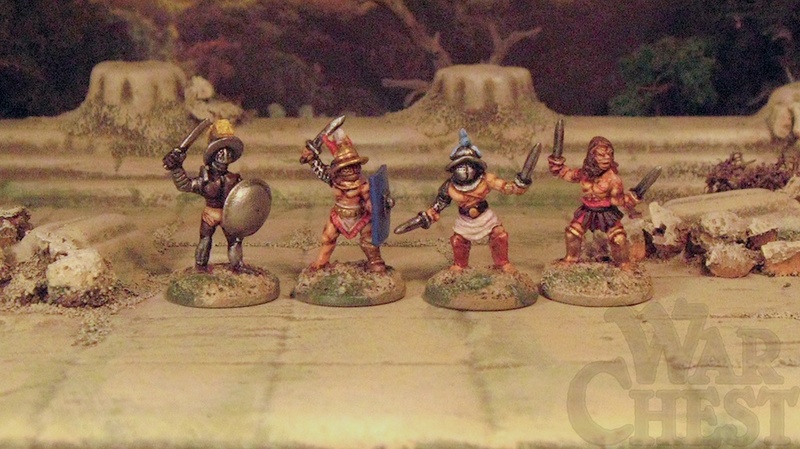 Here are the Museum Gladiators – pack of 24 with 12 sculpts for £7.50 (duplicates not painted and not included). 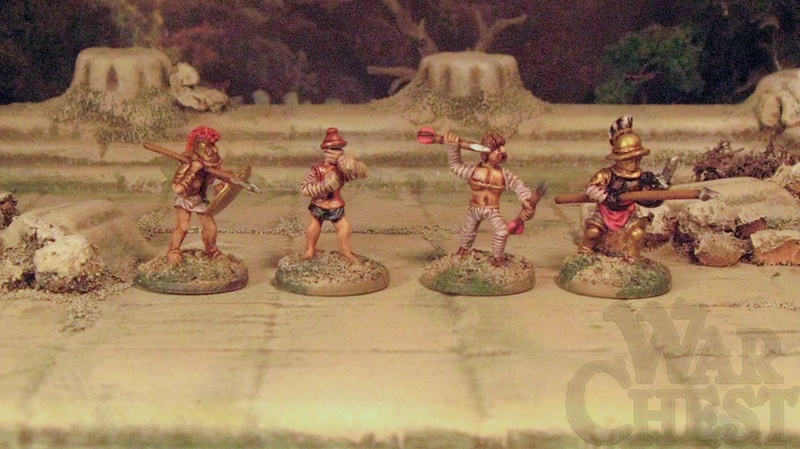 And here is one of the many Fantasy Gladiators from Splintered Light Miniatures.